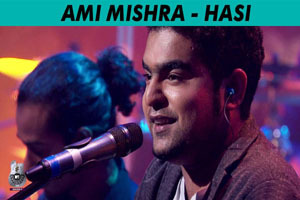 Nice romantic song in the voice of Ami Mishra featuring him in song video. The video of this song is available on YouTube at the official channel MTV Unplugged. This video is of 5 minutes 12 seconds duration. Lyrics of "Haan Hansi Ban Gaye"
Lyrics in Hindi (Unicode) of "हाँ हसी बन गए"